This is a free sample containing 20 pages of this issue. 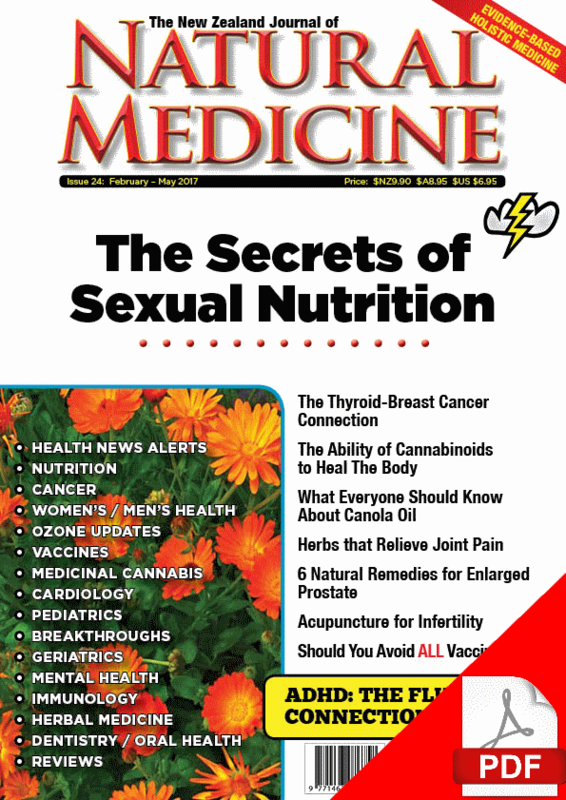 Our cover story for issue 24 is “The Secrets of Sexual Nutrition”. Written by Richard A Kunin, MD, this straightforward article explains how good nutrition supports a healthy libido at any age. 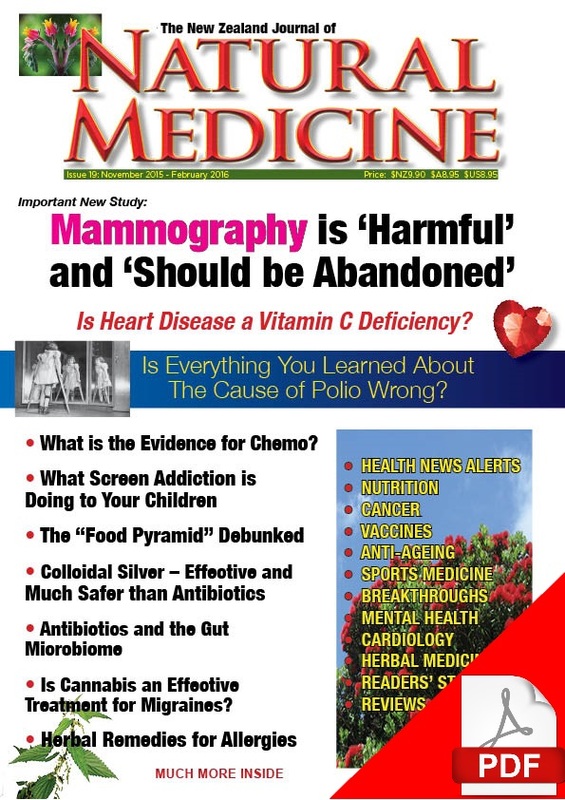 Breast health issues can be a problem for women of almost any age, and this issue features an article on the connection between thyroid health and breast health. Men’s health issues are not forgotten in this issue, with an article on the treatment options for benign enlargement of the prostate. Children’s health is also a focus of issue 24. Many children in NZ are hyperactive or have an ADHD diagnosis. This issue discusses a new study that shows that ADHD is more common in areas where the public water supply is fluoridated. Does your baby or child breathe through his or her mouth – rather than his or her nose? Yvonne Vannoort, BDS, contributes an article on how mouth breathing can affect a child’s facial development, and how this in turn can affect both dental health and general health and well-being. Decisions about vaccination are some of the most important choices parents make for their children. 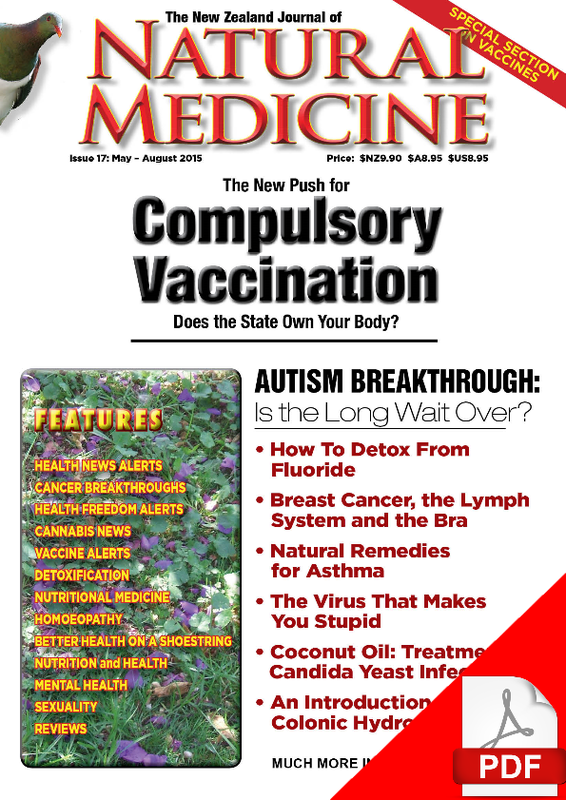 This issue discusses the vaccination-autism controversy that just won’t go away, as well as a new study that found that unvaccinated children had a lower rate of autism, ADHD and other neuro-developmental disorders than their peers. Judicious use of herbs and other plant medicines can be of great assistance in maintaining health, and this issue discusses the benefits of horsetail, while Amy McComb BSc profiles the edible and medicinal NZ native plant Kareao (also known as Supplejack). 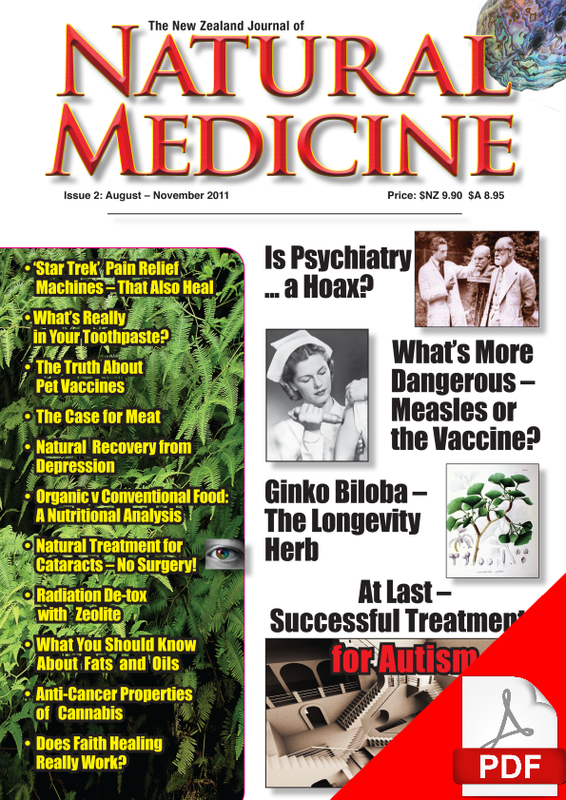 Reviews in this issue include a guest review by Lorna J. Hancock of Neem: Nature’s Gift to Humanity by Klaus Ferlow. Editor Katherine Smith also reviews Brain Gym and Me by Paul Dennison, PhD, an inspiring and practical book about how simple exercises can help improve cognition, coordination and reduce stress. Also in this issue, how garlic can assist in recovery from cardiovascular disease, health benefits of raw milk for children, the body’s need for healthy fats, herbal options for parasite cleansing and much, much more. Copies of issue 24 will be available in Australia in March the Subscriber Updates section of this website and our Facebook page will be updated when the issue is available in Australia.